To download the app, please come to this page Root Android Using FramaRoot. Just follow the steps and if you can not get broken links or links, please visit the official website. 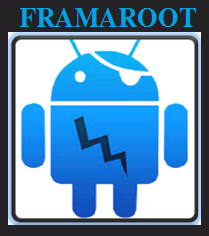 After you installed FramaRoot, you will choose the options of the root method. Please select "install SuperUser" and the next select "Gandalf", wait until you see the notification of successful, and then restart your Android phone.